Booklets are available in 2 size categories: 8.5x5.5 and 8.5x11. Number of pages must be multiple of 4. For the cover of booklets you have an option of high gloss with UV coating. There are different types of short run booklets such as Photo, Cooking, Children, Product Catalogs, Self-Published, Travel and Yearbooks. Contact SignOfVip.com today and order your booklet! The car magnets can promote your business wherever anybody sees your car, either you are driving or standing on the road. It is a very inexpensive advertisement you doing for your business. Also, anytime you like you can remove the magnet or use it on another vehicle. The signage materials are printed with outdoor UV ink and can be made weather resistance. Contact SignOfVip.com today to order your custom-made car magnets! 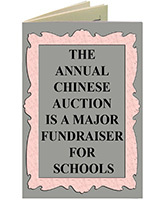 Many educational institutions, schools, charities like to print their own calendars. We can professionally do this job for you. Calendars range from 24 to 28 pages printed on durable 100lb Book stock. Contact SignOfVip.com today and order your calendar! Anybody who offers a service or product needs a business card. Your business card gives all the vital information to your clients/customers. It is the first advertisement investment in your business. Our professional graphic team staffs make sure to create the best logo (if you need one), color combination, and attractive designs. We use high quality paper, full color, UV Coating on 70 or 100 lb linen or 14 or 16 Point card stocks. You can choose the matte or gloss finish on either side of your business cards. The standard business card size is 2x3.5", but we can custom-made any size requested. Contact SignOfVip.com today and order your business cards! Bookmarks are a great tool for promoting your business; they are a low cost giveaway as well. You can choose different sizes of bookmarks, without/with a hole on the top (for tassels) and rounded corner if you choose. Contact SignOfVip.com today and order your bookmark! Anybody in CD production business needs CD inlays. With our creative graphic designer team we can make your CD inlays look professional and unique. Contact SignOfVip.com today and order your CD inlays! Our CD sleeves are printed on high quality 70lb Text with window and flap for distinctive look. Contact SignOfVip.com today and order your CD sleeves! 3 –D letters are the most popular form of advertising. They can be made in any font, size and colors. Plastic letters are durable and cost effective. Metal letters are more stable and last longer. They can have different looks and finishes. Contact SignOfVip.com today and order your dimensional letters! We can print your logo or your massages on mugs, puzzles, bags or t-shirts. If you have a party coming up and think about a unique, costume made party favors this is a very good option. Contact SignOfVip.com today and order your custom-made party favors or other promotion products. These signs are a must for your property. They can be made in a variety of material such as aluminum, magnet, PVC and vinyl. Exit signs, stairways, emergency exit and different arrows showing which direction individual should follow inside a property. You can choose the color of signs and the background. Contact SignOfvip.com today and order your custom-made property signs! Door hangers are one of advertising tools you can benefit from. 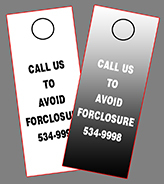 We can make the front/back or both sides of door hangers with or without UV coating. Contact SignOfVip.com today and order your door hangers! 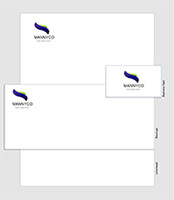 Your company's logo and address can be printed on different sizes of envelopes that we offer. You can choose linen uncoated or 70lb premium. Call SIGNOFVIP.Com LLC today and order your envelopes. Flyers are the most popular tools for advertising. If you need to reach your customers/clients and make them familiar with the services you provide this is a great marketing tool. There are varieties of options for the flyers/brochures to be folded. You can choose different sizes and decide to use UV coating or not. Contact SignOfVip.com today and order your flyers! We can customize your "thank you", birthday or invitation cards. We print them on the highest quality paper. Your cards will be unique and memorable. You can order blank envelopes matching with greeting cards as well as envelopes with your information printed on them. Contact SignOfVip.com today and order your greeting cards! Letterheads are available in different sizes and qualities. We can print your letterheads on 70lb premium uncoated text or 70lb linen. Contact SignOfVip.com today and order your letterheads! Looking for a unique look in advertisement to impress your clients/customers? Order your business cards, letterheads, greeting cards, notepads, post cards, presentation folders and trading cards in linen! Our linen products are printed on high tech digital equipment. Contact SignOfVip.com today and order linen products! Many business owners or health care professionals like to order our magnets. They come in a variety of sizes and you can choose round corners as well. The magnetic cards are printed with vibrant colors and highest quality ink with UV coating on them. The magnetic cards are durable and eye catching. Contact SignOfVip.com today and order your magnets! If you like to inform and educate your customers/clients regarding the services you provide, you can print the information on our booklets. Booklets range from 4 to 32 pages printed on durable 100lb book stock. You can choose different sizes and number of pages. Contact SignOfVip.com today and order your multi-page booklet! Notepads are available in different sizes and page counts with a full four color process. All the notepads are supported with a sturdy chipboard backing and the pages are compiled of premium 70lb text for maximum brightness. You can choose the notepads to be printed on 70lb uncoated text or 70lb linen uncoated text. Contact SignOfVip.com today and order your notepads! Plastic Cards are a great way for advertisement. Your business card will shine among all others. They are very durable and fancy. But don't get us wrong they are not very pricy and are affordable! They are available in 20PT Plastic Opaque White, Frosted (transparent) or Clear stocks. You can choose different sizes with round corners. Contact SignOfVip.com today and order your plastic cards! Many business owners like to order postcards. As it is a great marketing tool to thank and reward royal customers, maintain contact with consumers or to reach new markets. You can choose different sizes and coating options such as matte/dull, uncoated or UV coated on either sides. Contact SignOfVip.com today and order your post cards! Posters are available in different sizes. Highest quality of bright colors and printing in our posters. They all are printed on 100lb gloss book. Contact SignOfVip.com today and order your posters! Presentation folders are a great tool for promoting your business in trade shows, presentations and conferences. You can complement the folders with flyers, post cards or business cards. You can choose different sizes and coating options such as UV coting on the front and back or matte/dull finish on both sides. Contact SignOfVip.com today and order your presentation folders! Tear-off cards are a perfect promotion piece. You can choose different kinds such as flyer, door hanger or post card with tear-off perforation. There are different kinds of coating options available: gloss, mate/dull or UV coated. The customers can see all the information you want to deliver on the bigger portion of the rip cards, and can keep the business card on the bottom of the rip card. This option can also be used for membership cards, raffle tickets, appointment cards or coupons. Our standard tear-off cards include 1 straight perforation 2 inches from the bottom edge. Contact SignOfVip.com today and order your rip cards! We print all the rolodex cards on heavy card stock so your information will be recognizable among others. We offer matte or UV coating on our rolodex cards. Contact SignOfVip.com today and order your rolodex cards! These kinds of banners are very eye-catching in trade shows, conferences and even retail stores. The banner stands are made with highest quality of materials and they are recommended for indoor usage. The stands are 83.25 inches tall and are available in 31.50 inches, 35.5 inches and 39.25 inches widths. Also, they can be printed single-sided or double-sided. The banners can be replaced by a new one any time you like. Once you have the stand you can put new banners on them any time a change is required. POSITIVE SIDE: The retractable banners are chic, easy to use, set up, take down and store. Contact SIGNOFVIP.Com LLC today and order your custom-made retractable banners! Sell sheets are a great advertisement tool for your business on trade shows, conferences and seminars. Our 4-color sell sheets come in different sizes, different paper thicknesses and coatings. Contact SignOfVip.com today and order your sell sheet! If you are looking for presentation folders, business/ post cards that look elegant and different, this is your best choice. The cards are printed on 16PT full color and are laminated with special material that gives the cards a very pleasant Silky texture. Silk cards are available in different coatings. We can also make your business/post cards round corners. Contact SignOfVip.com today and order your silk cards! Our stickers are very attractive and durable. You can order them in akuafoil or regular paper and in different shapes such as square, rectangle, oval or circle. Different finishes are available also. Contact SignOfVip.com today and order your stickers! Table tents are a great advertisement tool to use for special promotions, restaurant menus, or informational purposes. Available in two popular sizes, Table Tents will allow you to effectively communicate with your customers with ease. Contact SignOfVip.com today and order table tent cards! Copyright © 2013 SignOf VIP. All Rights Reserved.